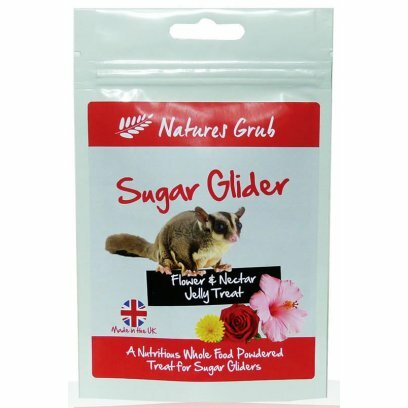 Sugar Glider Jelly Treat is a natural wholefood treat for Sugar Gliders, this jelly treat contains health boosting ingredients including Bee Pollen, Cactus Flowers & Hibiscus Flowers. 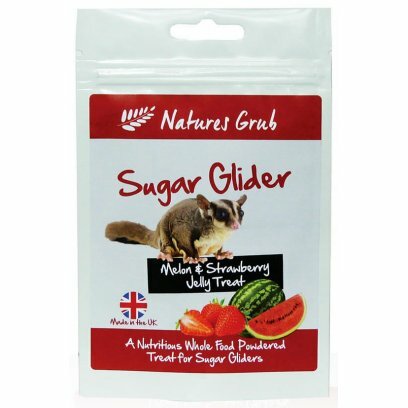 Sugar Glider Jelly Treat is a natural wholefood treat for Sugar Gliders, this jelly treat contains health boosting ingredients including Bee Pollen, Watermelon & Strawberry. 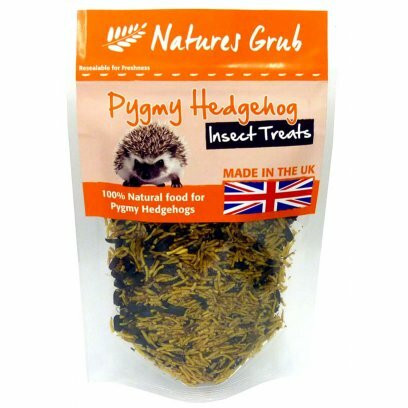 Composition: Dried Crickets, Mealworm Beetles, Dried Maggots, Silkworm Pupae & Dried Mealworms. 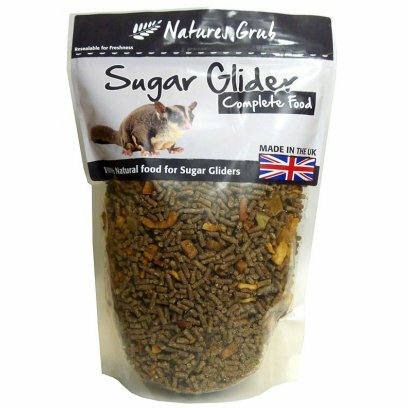 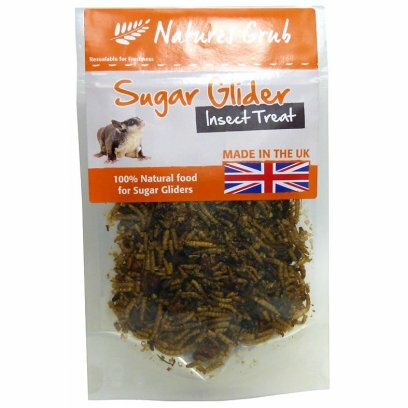 Natures Grub Sugar Glider Complete is a blend of Nature's Grub Sugar Glider Diet Pellets & 6 varieties of dried fruit. 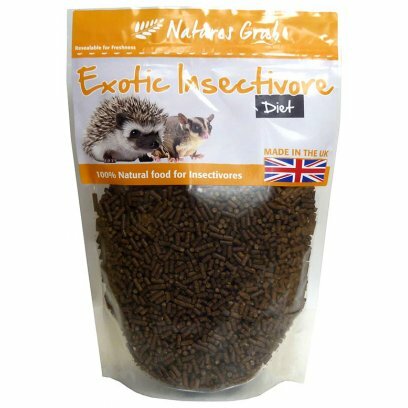 These 3mm diameter pellets are manufactured by us in Nature's Grub's DEFRA approved premises here in the UK, these pellets contain high levels of human food grade ingredients as well as many other premium grade ingredients including fruit & vegetable powders as well as Bee Pollen, Honey, Eucalyptus & Pro-Biotics. 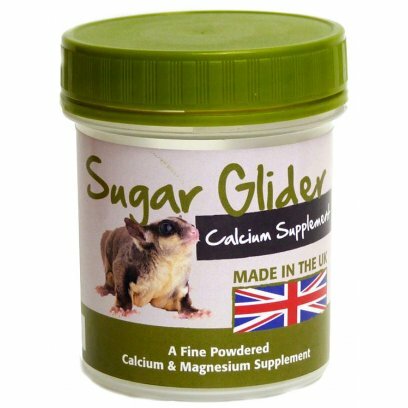 This food can be fed as sold, this diet does not replace fresh fruit & veg which form a large part of a Sugar Gliders diet. 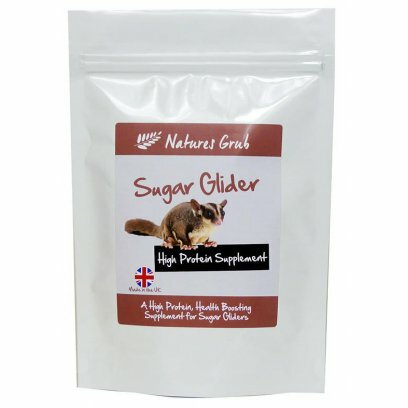 Composition: Soya, Apple, Flax Seed, Beet Pulp, Calcium, Blood Powder, Carrot, Alfalfa, Papaya, Spinach, Broccoli, Dried Apple, Dried Apricots, Dried Peach, Dried Papaya, Dried Pineapple, Dried Mango, DiCalcium Phosphate,Eucalyptus, Blueberry, Raspberry, Honey, Bee Pollen, Vitamins & Mineral, Pro-Biotic. 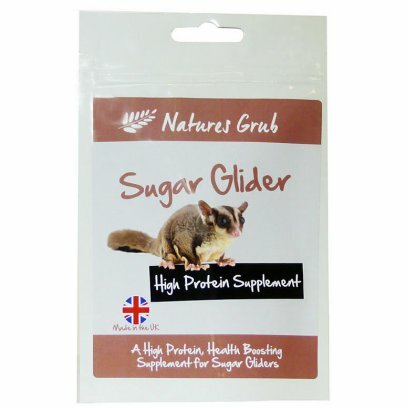 Digestibility Enhancer: Saccharomyces cerevisiae (4B1710) 10,750,000,000 cfu/kg. 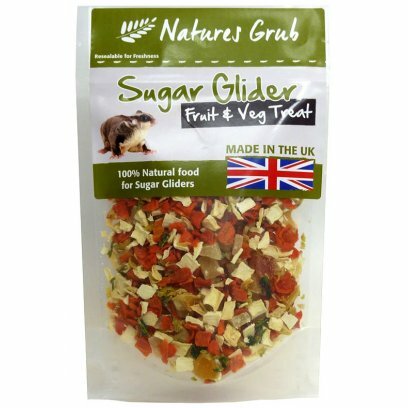 Natures Grub Sugar Glider Fruit & Veg Treat is a blend of 3 Dried Fruits & 3 Dried Vegetables loved by Sugar Gliders. 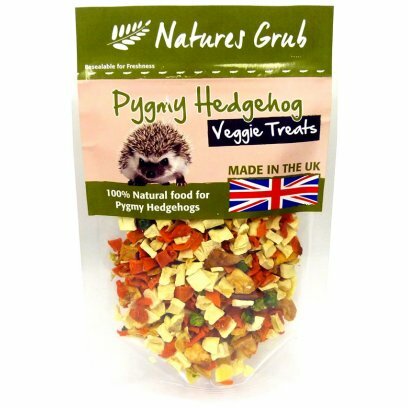 Composition: Carrot, Parsnip, Papaya, Pineapple, Cabbage, Mango. 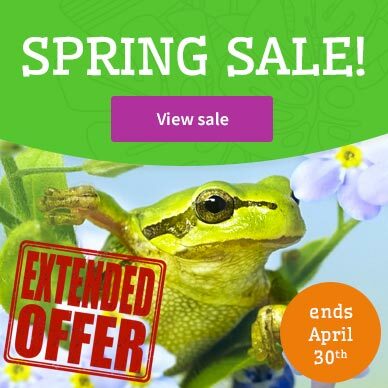 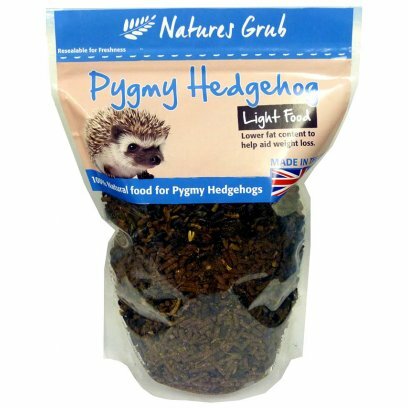 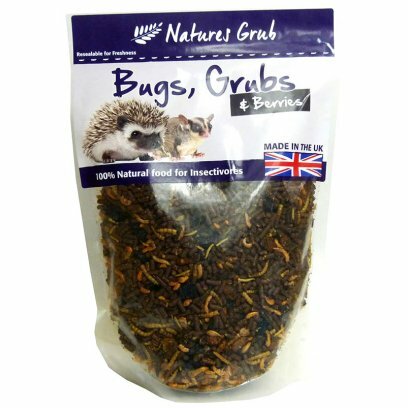 Bugs, Grubs & Berries is a nutritious insectivore diet, loaded with Insects & Blueberries, this diet is designed to add variety to insectivorous mammals diets, this food is suitable for Pygmy Hedgehogs, Sugar Gliders, Opossums, Skunks & insectivorous birds. Composition: Pro-Biotic Pellet (Poultry Meal, Wheat, Maize, Calcium Carbonate, Flax Seed Meal, Black Soldier Fly Larvae, Beet Pulp, Blood Powder, Poultry Oil, Salt, Pro-Biotic, Rosemary Extract) Dried Blueberries, Black Soldier Fly Larvae, Silkworm Pupae, Dried Mealworms, Dried Gammarus Shrimp. 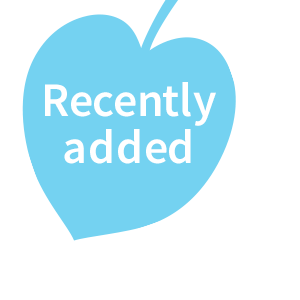 Saccharomyces cerevisiae (4B1710) 9,500,000,000 cfu/kg. 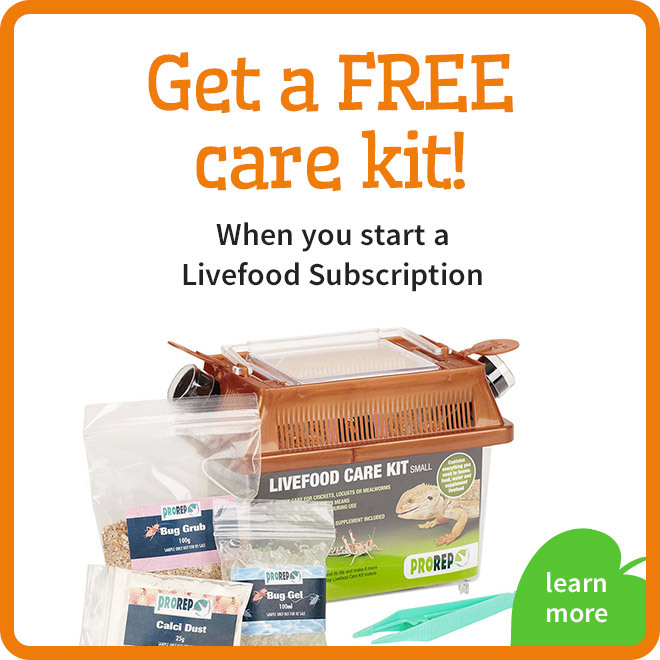 Feeding Guide : Offer a small amount daily, can de free fed in a separate dish or mixed with your current food, replace after 24hrs, ensure that clean fresh water is always available. A wide range of livefoods and dried foods for your pet mammal. 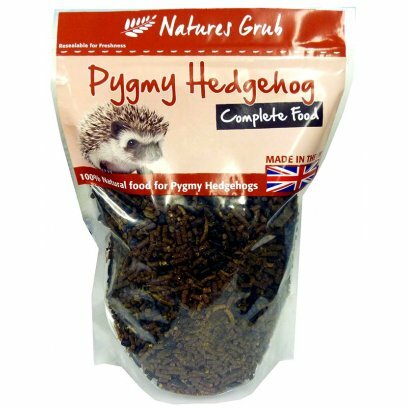 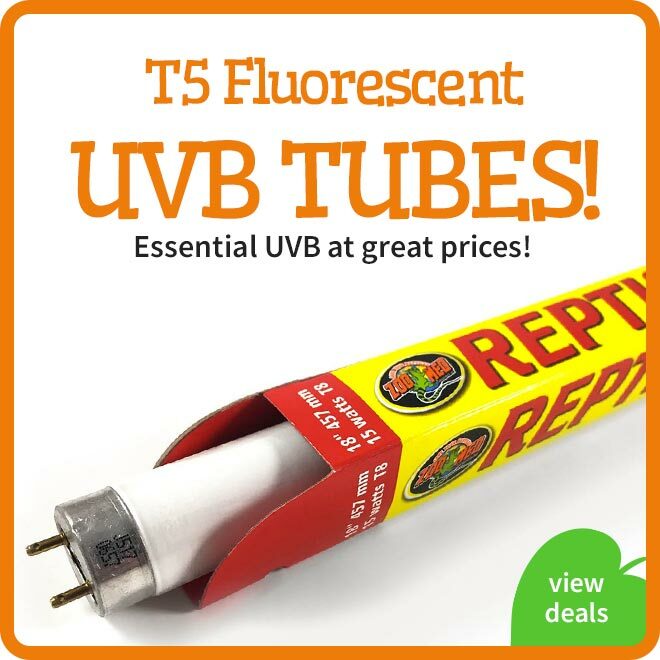 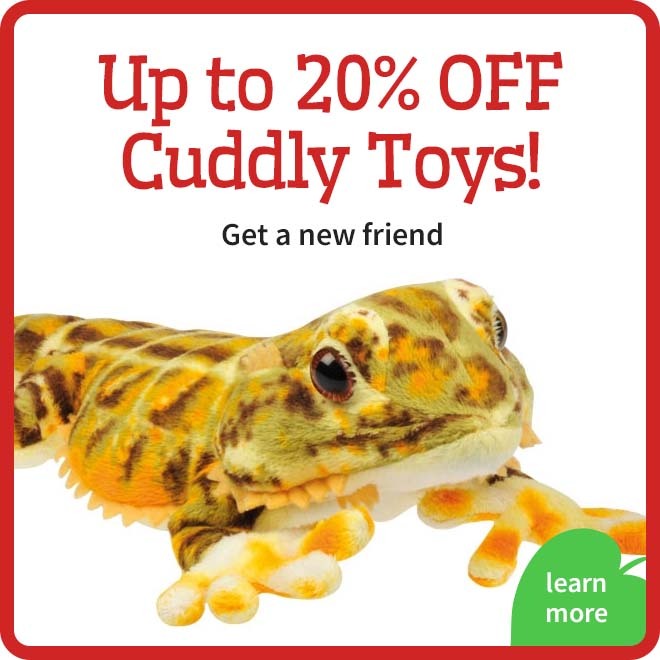 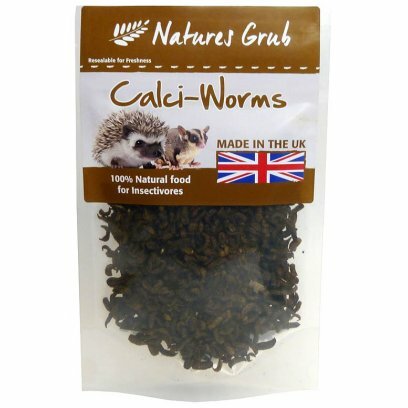 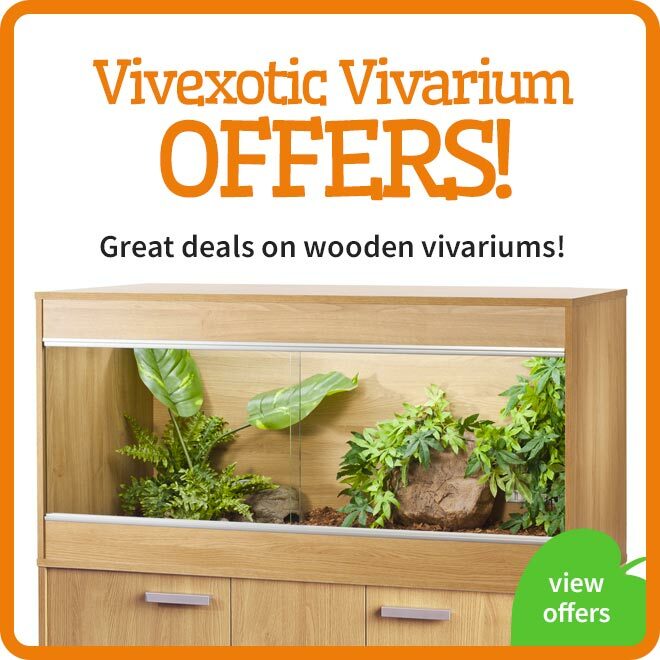 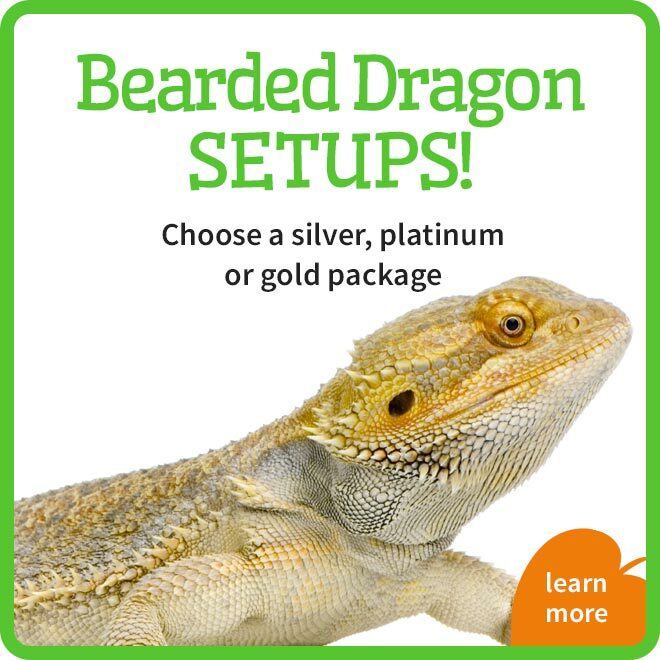 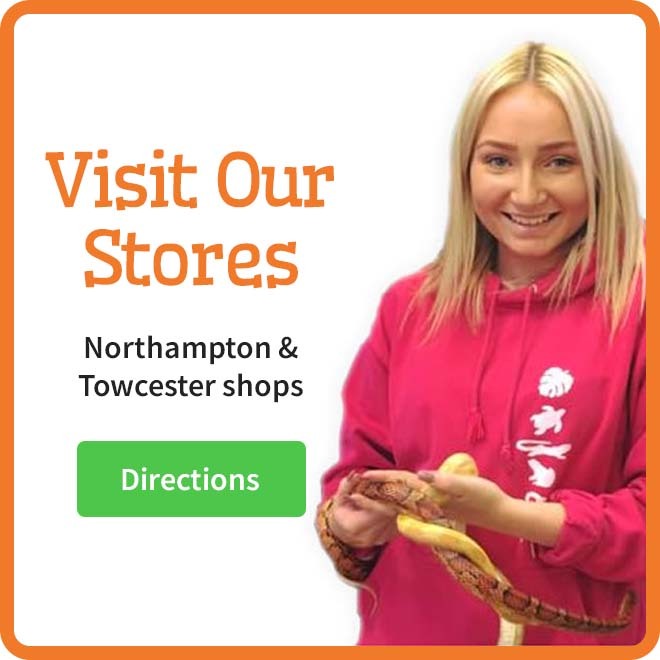 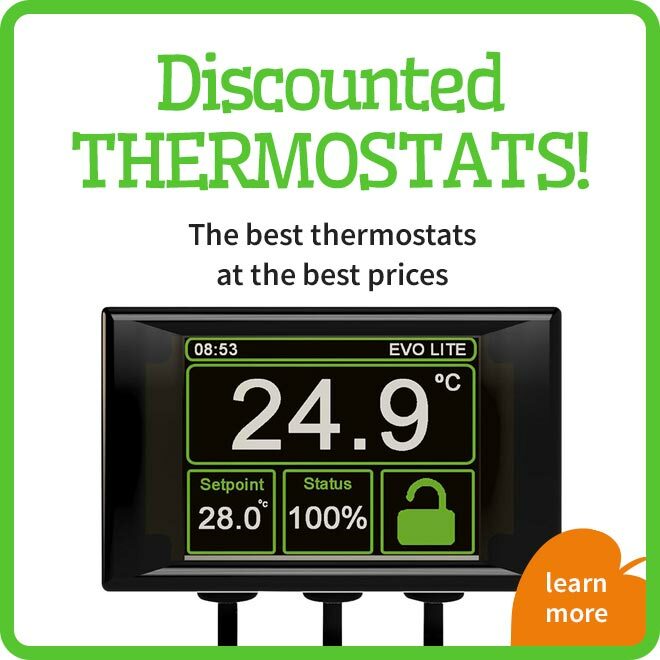 This range includes various grubs like calci-worms, waxworms and mealworms as well as high quality dried foods like the Nature's grub range. 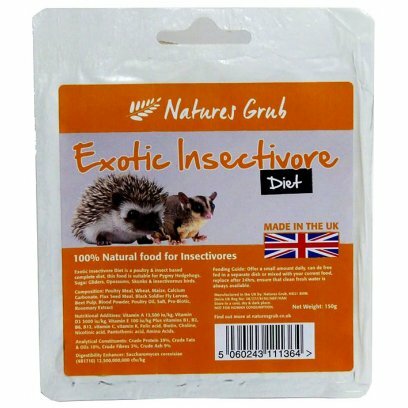 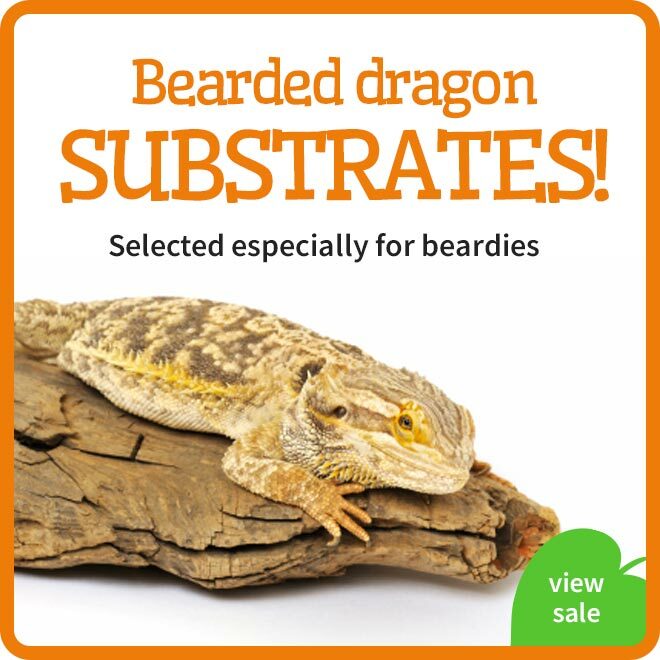 Insect and vegetable dried treats are also a great addition to your exotic mammals diet.